Sterling, VA (March 23, 2009) . 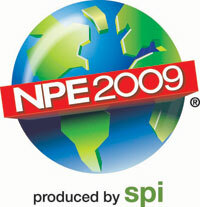 . . Gammaflux L.P., the world’s leading supplier of hot runner temperature control systems, has announced it will not exhibit at this year’s NPE 2009 in Chicago. The company has also announced it has directed additional resources into its customer service program. For what would have been the cost to exhibit at NPE, Gammaflux can make “hundreds of visits to customers” to help with their specific applications, said Colman. As part of its commitment to customer service, Gammaflux has added numerous trial units to its “Gammaflux Challenge” program, which offers customers and prospects the use of Gammaflux hot runner temperature controllers for 2 weeks at no cost. Through its Gammaflux Challenge program, Gammaflux offers its LEC hot runner temperature controllers for 1-12 zones of control, and its TTC controllers for higher cavitation applications. Based in Sterling, Va. U.S.A., Gammaflux L.P. is a leading supplier of hot runner temperature control systems to the plastics injection molding industry. Long known for innovation in control technology, Gammaflux developed the first products to anticipate temperature changes, sense wiring and heater problems, and react instantly to avoid serious mold damage. Combining digital capabilities with precision analog control, Gammaflux systems enable the user to achieve centralized command of molding systems and retrieve critical data for performance analysis. The company serves multiple plastics industry markets including automotive, medical, packaging, electronics, household products, and tool building.